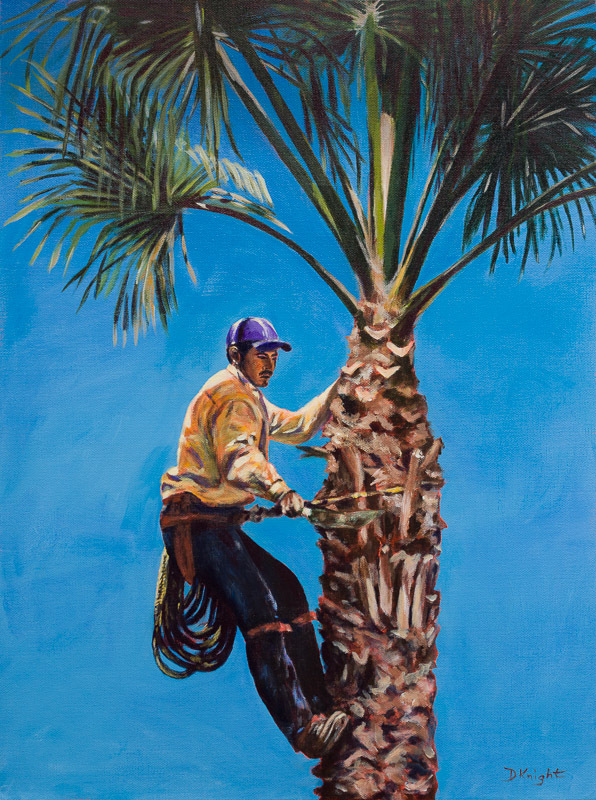 Last year after a terrible fire in Todos Santos that came within 2 blocks of our house, we decided we had better get all our dead palm fronds trimmed. We have a lot of palms and Domingo arrived with his son who actually did most of them. Apparently he inherited his father’s yellow shirt as it was the shirt Domingo used to wear. I took lots of photos and after painting the father a few years ago, I decided to paint his son this year. Such an exciting event to watch.